In the Mariupol sector, the situation remained tense. In Donbas, the Russia-backed militants launched 78 attacks on positions of Ukrainian army past day, the ATO Headquarters press center reported in 19 July. "The enemy used 122mm artillery near Pisky. 120mm mortars were used near Mayorske, Zaitseve, Avdiyivka and Luhanske. The terrorists shelled Avdiyivka, Zaitseve, Pisky, Opytne from 82mm mortars," ATO HQ said. 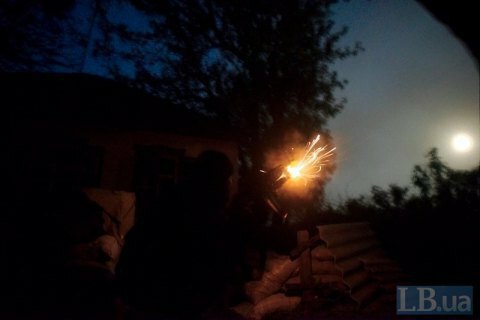 In the Mariupol sector, the situation remained tense in Marinka and Krasnohorivka, as the militants shelled the Ukrainian positions from 120mm mortars.